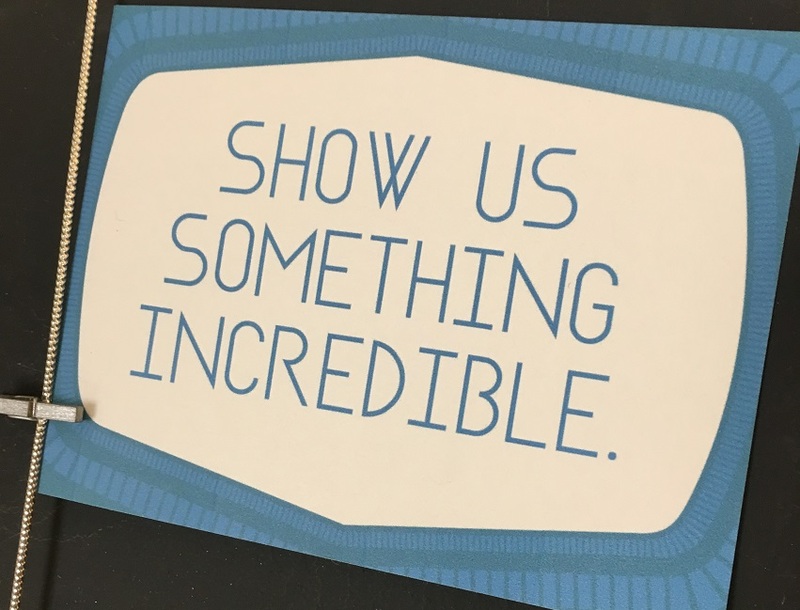 One of our 10 core values is, "Show us something incredible!" "Show Us Something Incredible", another one of our company core values. With every new hire, either at our HQ or at our overseas development office, we go through a PowerPoint deck highlighting our company core values. This is a visual representation of that which we hold true, basically it is a whole bunch of small pictures smushed together, where each image represents something important. At Left of the Dot, we want to see things that are incredible, things that are unexpected and exceed our expectations. And when you have high expectations (like Chris and I do), it is tough to surpass these expectations. But every now and then, we see something that stops us in our tracks. However, it was not the proof of concept that they were working on that blew me away, it was the fact that the team had shown me something incredible. In any business, as in life, ‘Incredible’ can be defined in many different ways. At first, I thought it was about seeing something that you hadn’t been before, or something that was such an action that you just sit there with your mouth agape. From sports, think Michael Jordan and a dunk from the free throw line, Tiger Woods at the NEC nailing an iron in the near dark, or Alexander Ovechkin scoring while laying flat on his back on the ice. All could be considered incredible. Sometimes incredible need not be anything grand. Sometimes you may find that the simplest customer service interaction, whereby you show compassion and care to exceed a customer’s expectations can also be incredible. Certain poetry can be incredible [code is poetry]. I remember watching Pulp Fiction many years ago in the theatre and realizing that what I was watching then and there was something I hadn’t seen before. The opening monologue of Episode 01 of The Newsroom whereby you marvel at the writing of Aaron Sorkin and Jeff Daniel’s performance. Incredible. So what defines Incredible? I propose that Incredible is defined more by passion and commitment than it is by action. It is defined by a willingness to try something new (and risk failure), more so than the results themselves. So to me, it wasn’t that our team built something cool. To me, what was incredible was the initiative and commitment made by the four developers in giving up their evenings and weekends to try something new. No one asked them to stay late and do what they did (other than them understanding our company’s values). They just did it. They took a risk. The results were incredible. I believe that you can’t teach someone to be incredible. You can’t coach incredible. Yet everyone has it in them to be incredible. So what is it that they created? Stay tuned… we should be announcing it shortly.